Generally used for crackers of all shapes; cutting dies must accurately allow for shrinkage after cutting and, using the right amount of dockering, control thickness and shape. Draft angles and material finishes also have to be carefully considered in die design. The units are available as one-piece or sectional rolls in plain or coated bronze. Individual cutter panels are also available in bronze, PDR10 or SDR10. 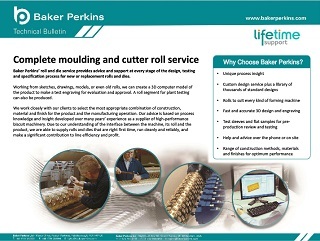 Used mainly for producing cookies; the design of Baker Perkins’ rotary moulding dies takes full account of the forming and baking processes, resulting in dies that achieve full extraction and finished products of the required size, shape and weight. Dies are available as one-piece or sectional rolls in plain or coated bronze or with inserts in PDR10 or SDR10. Test dies and water-jacketed die rolls are also available. Used for cookies, filled cookies and bars; the die shape and size are determined by dough properties and machine speed. The use of patented filler block technology, die plates and die cups enhance weight control and product consistency. 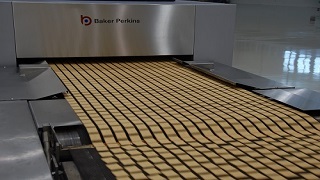 Used for drop-style and swirl cookies; the die style is determined by speed, weight and dough flow characteristics. 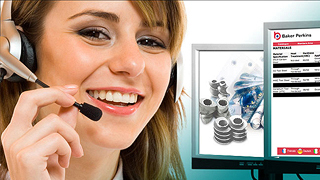 Depositing dies come in standard styles or with telescopic compression tubes for higher weight products. Both PDR10 and SDR10 polymer materials offer enhanced release without coating (and recoating) of the die roll. PDR10 has excellent machining properties and abrasion resistance making it ideal for intricate product designs while the exceptionally durable SDR10 is the choice for plain shapes that would require coating on a bronze die.